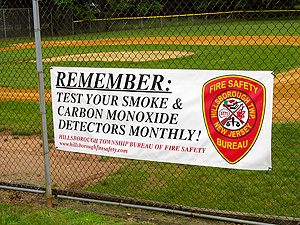 Fire Safety Banners at the sports complexes. 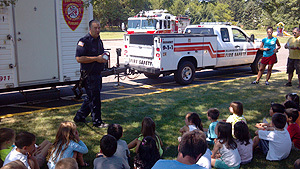 Fire Safety at summer camp. 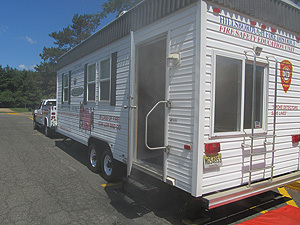 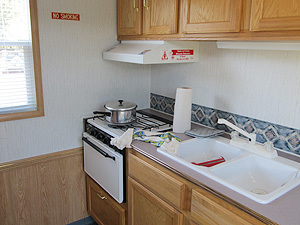 Inside the Smoke Trailer kitchen showing multiple fire hazards. 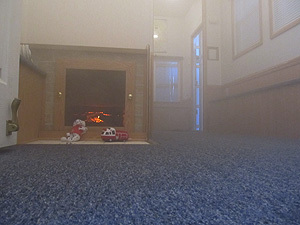 Participants learn to crawl low under smoke and heat. 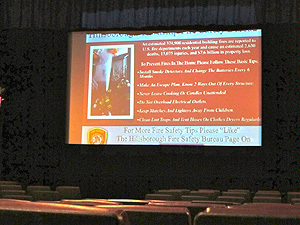 Fire Safety at the movies. 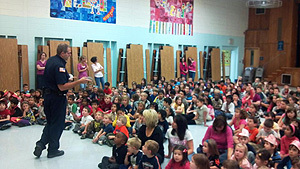 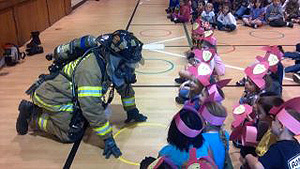 Children learning not to be scared of firefighters in gear. 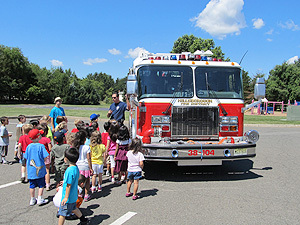 Learning about the fire trucks. 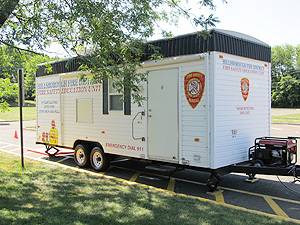 Trailer shows how to exit out to both windows and doors. 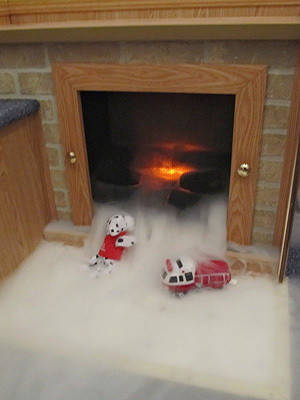 Simulated fire place with smoke.